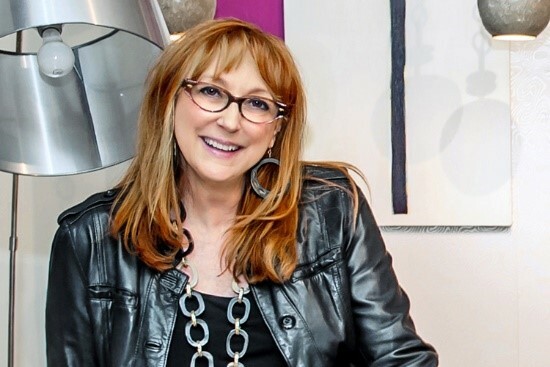 Robin Baron, celebrity interior designer, lifestyle expert, and luxury home furnishings designer thrives on creating unique and fabulous furnishings and interiors. Robin’s clientele includes many celebrities and heads of major corporations. She has significant experience on TV, radio, and her work has been featured in many print and online publications. Robin is active in the design community and is known for her multi-platform social media presence. 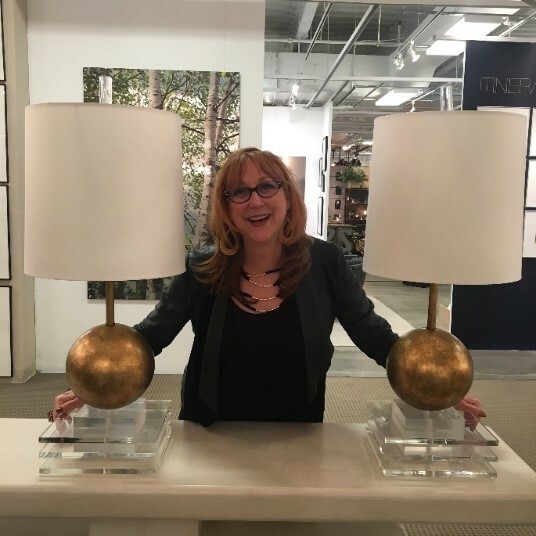 In addition to Robin’s residential design firm, she has recently launched her first collection of home furnishings which include furniture, upholstery, rugs and hardware. A huge thank you to IMC for asking me to lead a tour! 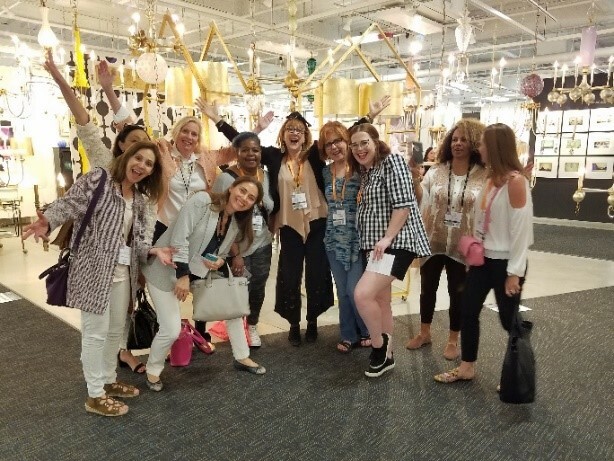 Sharing my favorite vendors with this fantastic group of women was one of the highlights of my Market this spring. Thank you to everyone in my group for being so much fun and so open to new ideas and new vendors! Let's take a look at a few of my favorites. Ercole has beautiful furniture that features stunning glass mosaics. I love the sleek, yet artistic nature and artisan quality of their furniture. Their furnishings are modern with a creative, glam twist! I first discovered R&Y Augousti in Paris several years ago, when I was staying at a boutique hotel right down the street from their store. I was thrilled to see them at High Point Market this year! 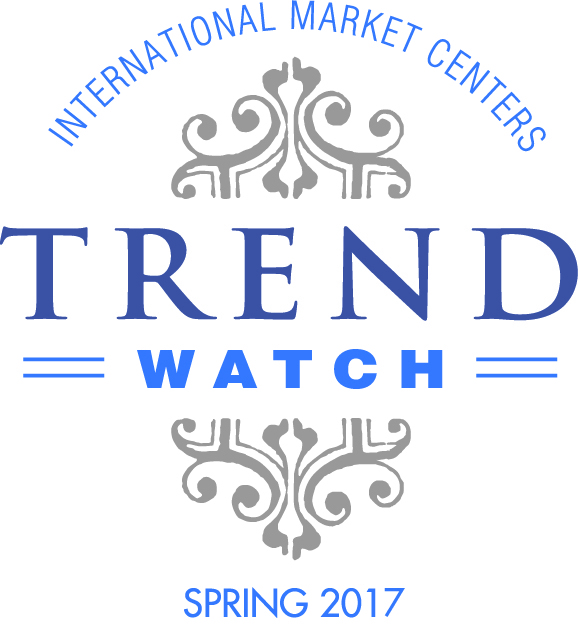 This is one of my favorite brands of high-end, high-style furniture and accessories that everyone should check out. Pandora de Balthazar herself is one-of-a-kind…and so is her product! It’s not just bedding and pillows that she offers, it’s her holistic sleep-system that will change the way you sleep. If you’re lucky enough to meet Pandora, have a chat with her. She’ll show you how we should all be sleeping for optimal health. Trust me … you’ll never sleep the same again! I love the owners of 1429! Bridgette Hamilton and Cindy Gross are a wonderful team that has a unique perspective. They design their furniture using digital prints transferred onto wood to create their clean-lined modern collection of furniture and wall art. They are an innovative pair and their passion shines through in their product. Julian has a never-ending collection of fabulous tabletop accessories. I’m always a fan of fringe, so these metallic fringed napkin rings are right up my alley! Julian’s collections include a myriad of napkin rings and placemats… it’s a perfect place to get creative. I love to entertain and enjoy switching it up each time, so Julian has become my go-to source for helping me create beautiful tablescapes. Louise Gaskill is always my first stop when I go to Salon at the Suites at Market Square. Louise has a great eye. She deconstructs old lighting fixtures and uses the pieces to create new lighting. Her fixtures have a luxe and modern look, that all have her unique spin on them. I love her aesthetic and her lights integrate with everything from modern to traditional fixtures. Best of all, I know everything I buy from her is one-of-a-kind and will not be seen again…not even from her! You’ve got to love Austin himself! He’s full of energy and has a big heart…and it shows in his work! He creates beautiful art that can fit into almost any environment. I adore his use of color and his high gloss resin pieces can make a room. He’s a terrific find and has become a go-to vendor. If you’re lucky and go there early in the Market, you can buy his pieces off the floor…but they go fast, so make his booth one of your first stops. Ok…I know…this is a little bit of self-promotion, but it had to be on the list, of course! My collections are clean-lined, bold and make a statement. They include case goods, upholstery, hardware, and rugs. I’m expanding my line every season, so I look forward to seeing you at the next Market and I hope to make it onto YOUR list of go-to vendors!